New Jersey online poker revenues have been trending downward for the last four months, defying even the seasonal bounce that’s normally expected for poker sites as winter approaches. But that improvement seems to have finally arrived in December, as New Jersey’s poker sites saw their revenues inch back up for the first time since August. In total, New Jersey’s online poker sites brought in about $2.06 million in December, up from $1.87 million in November, which was the lowest monthly amount since the sites opened in late 2013. It was the first time since September that online poker revenues brought in more than $2 million for Atlantic City’s casinos. Both casinos that still offer online poker in New Jersey saw their revenues increase month-over-month in December. Borgata, which is partnered with partypoker, saw their revenues increase by more than 11 percent. Meanwhile, Caesars, which oversees both WSOP.com and 888poker.com, saw a nearly eight percent improvement in their revenues. Before anyone gets too excited, however, the December numbers can also be used to illustrate just how much the New Jersey Internet poker market has declined since opening last year. December 2013 was the first full month of online gambling in New Jersey, which means that this new report gives us the first chance to take a make a yearly comparison for the market. Year-over-year, online poker is down significantly: in the final month of 2013, casinos earned nearly $2.9 million from online poker, a level that hasn’t been approached again since March. A liquidity sharing agreement between WSOP.com and 888poker.com, along with an influx of players for the Borgata Winter Poker Open and the possible addition of PokerStars to the market as early as March could help these numbers continue to improve, but it still seems like it will be a while before the market rebounds to its early heights. However, the overall online gambling story in the state is a bit different. In December 2013, Atlantic City casinos made a total of about $7.4 million from Internet gaming. That increased to more than $10.7 million in December 2014, an increase of more than 45 percent. That’s an impressive level of growth for the industry, especially as poker revenues have declined. Through November, poker had accounted for just 25 percent of online gaming revenue, and that ratio remained intact for December. Overall, online poker bought in just over $29 million for 2014, while the total Internet gaming win for casinos came in at about $122.9 million. Overall casino numbers were once again down for Atlantic City, but up for those casinos that are still in business. In December, casinos brought in just under $190.5 million in total (including their online operations), down 11.2 percent compared to a year earlier. 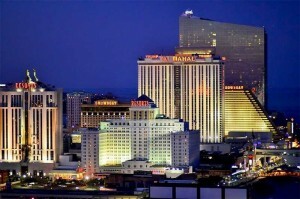 However, the seven remaining casinos saw revenues climb 9.4 percent, suggesting that they may be more than healthy now that the level of competition in the city has decreased. For the year as a whole, total gaming win was down 4.5 percent to $2.74 billion, though the remaining casinos saw their take increase by nearly eight percent.